There should be goals here as both teams play quite attacking football especially the home side who have been great revelation this year and great team to watch. If they go in the premier league it will be fun to watch them but I am not sure they have the quality for that. But quality to score yes and always and the same goes for the away side here. 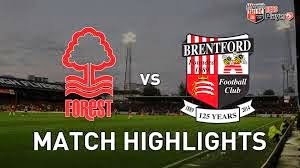 Brentford have no fresh injury concerns after their 4-1 victory over Fulham on Friday, as they prepare to host Nottingham Forest. However, Lewis MacLeod (hamstring) is short of match fitness and Scott Hogan (cruciate ligament) remains sidelined. Nottingham Forest will check on the fitness of Mo Barrow, after the on-loan Swansea forward limped off in the 2-1 defeat by Wolves on Friday.